Nintendo have this week announced they will be launching a new special edition Pokéball inspired Nintendo 2DS XL handheld gaming console to coincide with the launch of the highly anticipated Pokémon games hitting handhelds on November 17th 2017. 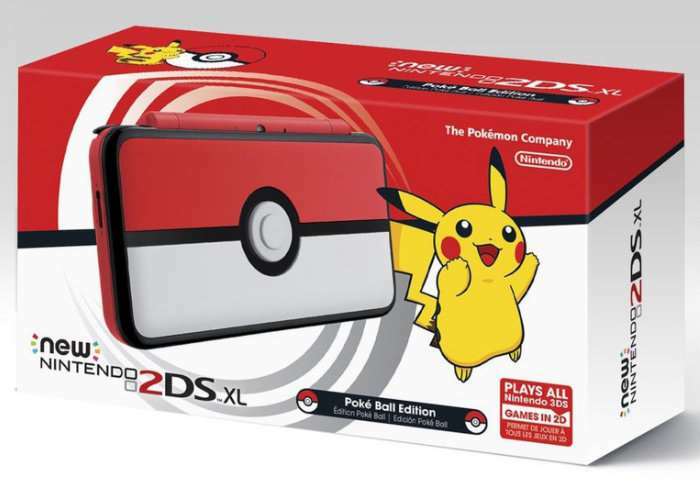 Unfortunately though the Pokéball Nintendo 2DS XL handheld does not come with the new games and you will need to purchase those separately. Nintendo has also announced that the classic Game Boy games Pokémon Gold and Silver are making their way to the 3DS’s virtual console and will be available to download in a few days time from September 22nd, 2017 onwards. Adding to this weeks news Nintendo has also revealed that the previously available Japan-only orange-and-white colour scheme handheld will now be available in US from October 6th 2017.